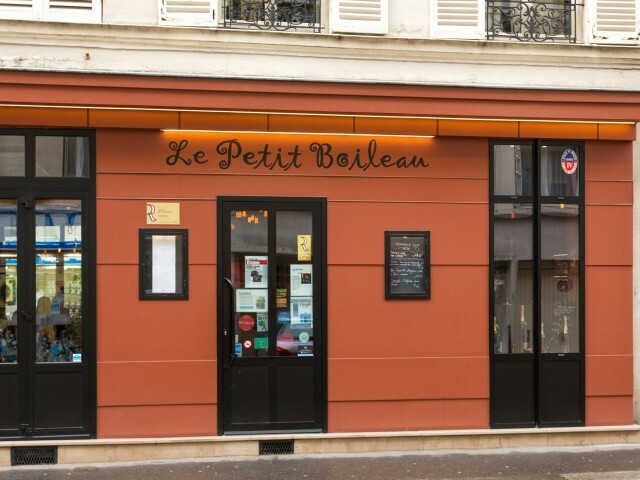 Located in a small quiet street, near the door of St Cloud, the Petit Boileau regales its guests with a quality local cuisine. Its chef, Michel Marie, knows his scores perfectly with his trendy bistro dishes perfectly mastered, featuring authentic products varying with the seasons: veal kidneys, duck breast with fresh figs, crunchy clementines with cottage cheese and orange caramel. The wine list includes organic references, all in excellent value for money.